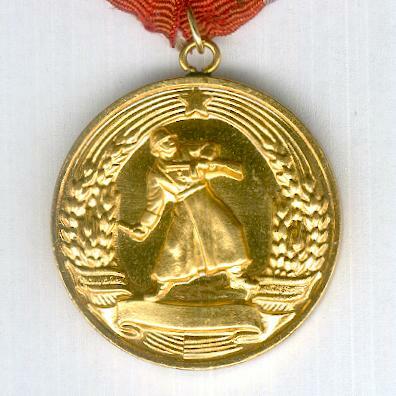 Circular gilt metal medal with loop for ribbon suspension; the face with the full-length figure of a helmeted soldier in the act of throwing a grenade, a rifle in his left hand, a ribbon below, a five-pointed star above, ears of wheat to either side; the reverse with a large five-pointed star, circumscribed below ‘for Military Merit'; on original ribbon on pentagonal card mount. 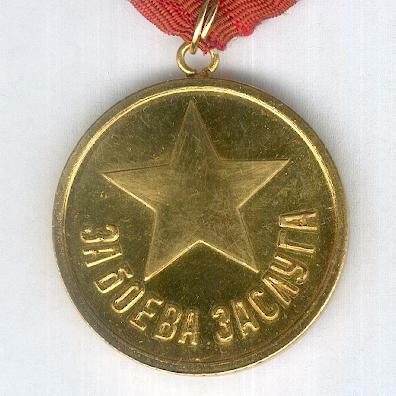 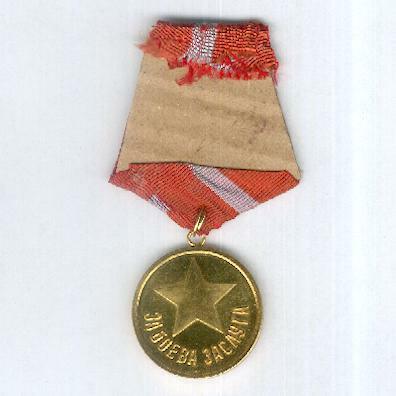 The medal was instituted on 13 December 1950 and awarded to military for acts of bravery, both in peace and wartime. 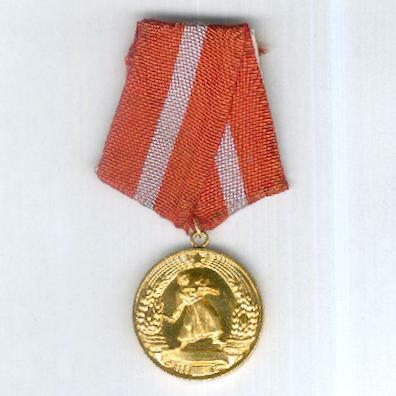 It was struck at the State Mint in Sofia and cancelled in 1991.